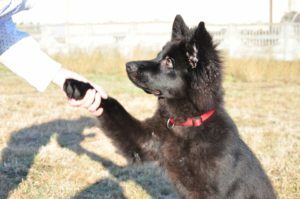 At PerfectDog we trust that good relationship with Your dog is a key to success. We focus on being the dog well behaved family pet – calm, confident and obedient. We offer different types of dog classes: in-home dog training, puppy school, basic and advanced obedience, as well as problem behavior modification programs. Ania Nocny is a certified dog behaviorist (licensed by COAPE, UK) and a dog trainer, with almost ten years’ experience working in canine behavior and training.